With the increased use of credit and debit cards and online medium like Facebook, Twitter and social networking sites ecommerce websites have also increased. Reason are simple people loved to check online, read reviews and know everything before buying the product. Plus they get good deals and can do so using the click of a mouse instead of spending too much time outside. With the use of a computer and at their own time they can shop whatever they need. Hence the need for Ecommerce websites has increased. But there are many who need affordable ecommerce websites and for them we have come up with our Ecommerce WordPress theme. Our ecommerce WordPress theme has products section which can be managed, and can add unlimited products. Our ecommerce WordPress theme is responsive so this means using any mobile or tablet as well one can shop. Using our ecommerce WordPress theme you get free installation, slider for showcasing your featured products or offers, product catalog section, blog, and other pages for managing a full fledged website. Our ecommerce WordPress theme also consists of categories for easy product sorting. Based on WooCommerce shopping cart this theme comes with loads of other features and functionality. Allows for PayPal, stripe, and Mijireh payment gateways. 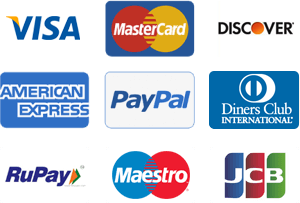 One can also buy additional payment gateways as there are more than 50 payment gateways and WooCommerce provides integration with most of them. Why consider this eCommerce WordPress theme? Since long people have been selling online but selling using WooCommerce has become more and more easier with payment gateways integration done for several of the gateways. Hence any country store owner who first thought of using some other solution now thinks of WooCommerce because of the ease of use along with that it works around the WordPress ecosystem and hence one does not need to learn something new. Also the community for WordPress and WooCommerce is quite big and hence one gets quick solutions and answers to their problems whenever one looks around for solutions. WooCommerce just like WordPress.org is free of cost and hence it makes a lot of difference to store owners who just want to start and do not have a big budget at the start. It offers huge flexibility in terms of extensions in terms of not just payment gateways but billing, invoicing, PDF invoices and many other items like e learning etc. Since WooCommerce works with WordPress many other items like blog, forum, and pages work nicely along with the shopping cart system which is a miss with other eCommerce solutions. Our eCommerce WordPress theme also offers all of the above solutions working out of the box with this theme. Vast customization options in terms of not just color change but page templates, blog templates, shortcodes in built and page builder friendliness have been provided. Hence consider this analytics friendly eCommerce template for your next shopping website and let it work magic for you.